An 1894 edition of Turgenev’s Sketches from a Hunter’s Album. I don’t really get off work – I read and write and then think about what I read and write all day. A simple sweetcorn salad followed by baked salmon. A classmate in middle school. One Art – Elizabeth Bishop’s selected letters. Smile even when you don’t feel like smiling; crying makes your face look ugly – given by my father. I have never been star struck so I am still waiting for the first time. This morning when I made my sons practise their instruments (piano and oboe). I am still waiting for that realisation to come. Yesterday, when my children pointed out that I was not making sense most of the time. I don’t remember having ever made an impulse buy so haven’t had the opportunity to feel the regret. Last time you bought someone flowers. A couple years ago when I went to a friend’s place. One of my children’s paintings. A funny clip of a dog. Copying newspapers for typesetters – I believe the correct word is a scribe – age 8. I threw away some leftover from breakfast – according to our Chinese upbringing, wasting food is a big crime. We went to the courthouse to get married so there was no music played. It’s not for me to decide. What was the dream last night? I wonder if tomorrow will be a better day. 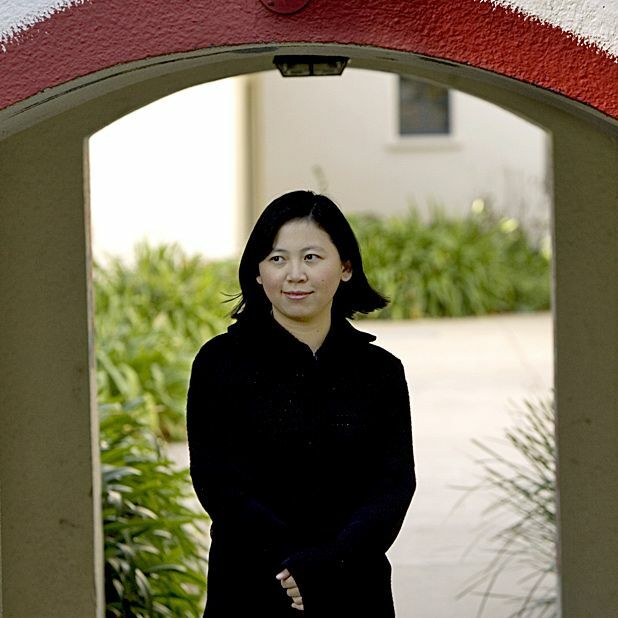 Yiyun Li appears at the Edinburgh International Book Festival to launch short story collection Elsewhere (16 Aug) and in conversation with Hari Kunzru (18 Aug).